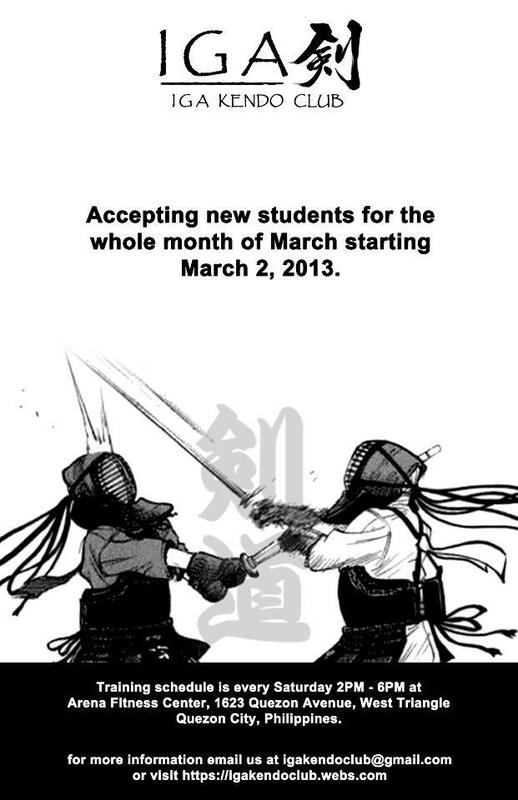 Arena IGA-Kendo Club will be accepting new beginners starting March 2, 2013. Interested applicants are strongly urged to pass by at least once before March 2, in order to watch a session, and or participate in a free trial session. Please see the Introductory Course section for more details on how to join the club. Please let us know when you plan on passing by for a trial session. Thank you. This entry was posted in Recruitment and tagged Arena Fitness Inc, beginner, Dojo, Iga Kendo, IGA Kendo Club, Martial arts. Bookmark the permalink.